Every organisation needs to address its shareholders and investors and it is incumbent on them to release their financial performance through a consolidated annual report regarding the previous financial year. The International Accounting Standards Board along with its subsidiary in Australia (AASB) has put down some standards called the IFRS which provide guidelines as to how the accounting statements should be made and their content. However, as all shareholders are not accountants or have a sound understanding of financial terminology, but do retain the right to understand and assess the financial performance of the organisation, the reports need to be simplified and overly complex details need to be erased to make them more comprehensible for the general public. Accountants within the company, as well as the standard setters at IASB, have a collective responsibility to incorporate simplification of accounting standards. With reference to the above statement describe what you understand by the accounting concepts mentioned and provide examples from your selected annual report. At present, much of the complexity within the standards of financial reporting can be deemed as unnecessary and beyond the comprehension of the typical shareholder. Most CFOs and their team of accountants support the excessive complexity in the standards because of the arduous effort they would otherwise require to put in for simplification of the existing standards (Edwards, 2013). 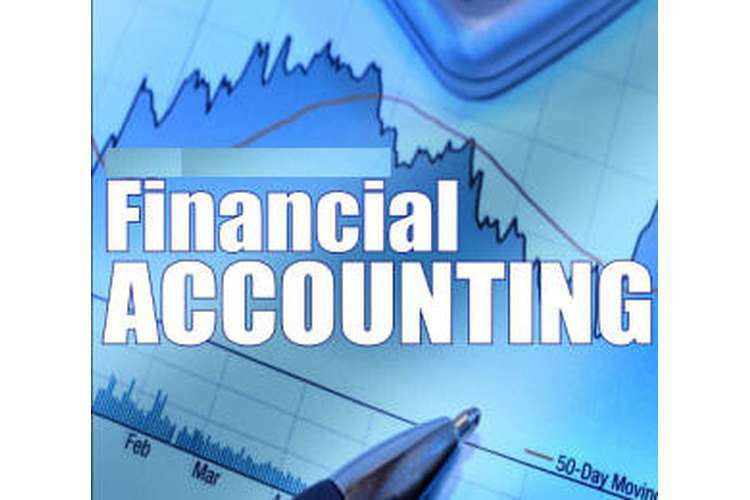 Furthermore, the drafting of financial statement is done by keeping some degree of managerial flexibility that is supported by complex accounting standards. The excess complexity serves a dual purpose in this regard. When there is uncertain volatility of economic conditions, the corporate accountants look to adapt strategies that will allow them to smoothly absorb the impact rather than identifying and mitigating risks as and when they occur. The preparer’s ulterior motives are just as volatile, too. Therefore, by incorporating complexity in the financial statements, they provide themselves with a cushion from personal and organisational upheavals. The IASB also bolsters the cause by creating and prescribing standards that are continuously aimed at limiting any disruptive change in the reporting policies. It is difficult for the board to identify and maintain a basis for the standards (Weil, Schipper & Francis, 2013). Therefore, the current concepts behind the setting of standards at the board are qualitatively and quantitatively insufficient and therefore, require simplification. Thereafter, IASB has launched a unified and focused approach towards making narrow-scope simplifications to the complex accounting standards for the IFRS through implementation of some short-term projects. These projects are primarily aimed at improving the usefulness or legibility of reported data from the investors’ perspective thereby cutting down on the costs and complexities of reporting. They elucidate the accounting actions related to transactions and prevalent economic situations for preparers and investors who do not have sound knowledge of accounting. Fewer information systems are required. Lesser number of data distinctions is required to be compiled. There is marked decrease in the number of mistakes. Accordingly the costs associated with a restatement or the risks of second-guessing are mitigated instantly. Internal control systems are improved and their requirements are decreased in number. Control framework can more easily be applied and overall, a more efficient functioning is developed. Ultimately, the financial reports can be made for a more universal audience. The cognition capabilities for typical shareholders are prodigiously improved. They become more explainable for the preparers and more understandable for the investors. With this consideration, the International Accounting Standards Board created specialized and amended IFRS which is simplified to cater to the reporting of organizations keeping in mind the demographic diversity of their investors as well as the rang of costs that they can afford (Gassen, 2014). Since the advent of narrow-scoped projects in 2014 to implement simplification, the new and improved set of standards have been adopted as the basis for reporting in Rio Tinto. The Annual report of 2015 addresses this fact in the notes to the financial statements. The basis of financial reporting at Rio Tinto Group is consistent under the IFRS as issued by the IASB, the Companies Act 2006, and applicable Australian law that have been put into effect by the Securities and Investments commission of Australia. Rio Tinto Group exercises compliance with the International Financial Reporting Standards (IFRS) interpretations that are issued by the interpretations committee from time to time. As such, it has incorporated the simplification strategies put in place by the IFRS as a result of IASB’s narrow-scoped approaches. However, what Rio Tinto has not implemented in the 2015 Annual Report is a mandate for 2017 which has not been endorsed by the European Union. It talks about erasing complexity of accounting for holding the debt instruments, like debt securities, loans and trade receivables as an amendment to IAS 12 as mentioned in the Annual Report of 2015. As a simple example of the simplification implementation, the Rio Tinto group addresses the investor population by helping them comprehend the various aspects of a financial overview. They have added a side note to define accounting terms like ‘Underlying earnings’ and ‘Total capital’ and what each of these terms entail and consist of. In the subsequent five year sales review, they have explicitly defined the ‘Group operating profit/loss’ and ‘earnings per share’ by using lucid and universal language to ensure cognition by as many shareholders as possible by not compromising on maintaining full report of material information (Wang, 2014). Discuss the problems of financial illiteracy in the context of the present AASB / IASB standards and conceptual framework using your selected annual report to provide examples. The General purpose financial statements (GPFS) as defined by the IASB standards should be universally comprehensible. They should be serving the requirements of an extensive audience including the shareholders, creditors, lenders as well as the members of the internal subsidiaries of the organization like the employee unions etc. The present standards set up by the Australian Accounting Standards Board or the AASB needs to keep in mind that the threshold level of financial knowhow required to decode the semantics of the GPFS is kept low enough. Accordingly, the financial literacy policies are incorporated within the standards. Financial illiteracy is therefore, a condition wherein a shareholder or investor cannot assess the financial performance of a firm due to a lack in knowledge of current accounting principles (Brown, Preiato & Tarca, 2014). Therefore, a complex set of standards might hinder the capability of an investor to make an informed decision about the future of his investments on an organization. Currently there are differing opinions regarding the level at which these standards should be pitched by the IASB/AASB so that there is considerable understanding and ease of preparation but not compromising on the flexibility achieved by the accountants through the conventional standards. However, there is widespread consensus among a lot of people that it is more the responsibility of the education system than that of the IASB/AASB to address the deficiency of financial literacy among the investors or shareholders. The Conceptual Framework for Financial Reporting is a tool that demonstrates the objectives, goals, and concepts that entail a General purpose financial statement or GPFS. The function of the conceptual framework is to assist the Australian or International Standards Board to develop and maintain the accounting standards that are focused on the consistent and important concepts of today. The framework, when adopted by an organization, helps to prepare and maintain the germane accounting standards when there is a lack of standards that might be applied to a particular incidental situation regarding an event. These events include transactions, independent choice of accounting policy etc. One of the primary functions of the Conceptual Framework is also to assist the stakeholders in understanding the complex standards by providing simplified and straightforward interpretations (Donelson, McInnis & Mergenthaler, 2012). Although there have been undertakings all over the world to revise the original exposure draft of 1989 that set out the framework policies, there are many threats that belie financial illiteracy. The conceptual framework fails to provide requisite guidance to the financially illiterate shareholders in the areas of measurement and de-recognition. There is no provision for the detailed explanation for the measurement of accounting outcomes. A person with sound knowledge of accounting can make a cogent assessment of the material information thereby making an informed decision on the propitiousness of his or her investments. However, anyone without enough knowledge of financial terms runs the risk of misinformation. The conceptual framework does not stress on guidance with the financial performance metrics (Yu & Wahid, 2014). The use of comprehensive income needs to be incorporated to help the universal investor demographic. Financial illiteracy will lead to uninformed investments and misguided economic risks. Therefore, it will lead to a substantive collapse of the organisation’s business framework in the stock listings. Financial illiteracy will lead to conflict of interests among stakeholders, between stakeholders and management. This is a serious deterrent to an organisation’s progress (Crawford & Power, 2015). The framework that has been adopted by Rio Tinto Group for financial reporting is subject to the Australian Corporations Act as amended by the ASIC mandates. They are revised guidelines consistent with the IFRS adopted by IASB or AASB as the case may be. The Group incorporates simplification in the financial reporting schemes so as to address the issues of financial illiteracy to some extent. Comment on the need to place trust in the professional accountant with particular attention given to conformity with accounting standards and the scope for judgement allowed within. Provide examples from your selected annual report. Accountants are primarily entrusted with the responsibilities that are vastly misunderstood and often, underrated by the general public (Dontoh, Ronen & Sarath, 2013). In fact, the internal auditor, chief financial officer as well as the independent executives of an organisation is abreast with their duties as professional accountants. Therefore, professional accountancy is the cream of professions in the organisational hierarchy which includes the critical roles and responsibilities of business architecture. Besides these, the accountants are often entrusted with peripheral roles like non-profit sectors, public sectors, regulatory duties and academia etc. (Iatridis, 2016). The knowledge of accounting therefore, unifies a vast array of concepts that help them to cover so many responsibilities. Therefore, it cannot be stressed enough how important their role is in the financial reporting of an organisation’s general performance metrics. Accountants are given the frontal positions in the safeguarding of the financial integrity of the company’s annual reports addressed to the stakeholders. The management procures the data through surveys, trends and feedback. Thereafter, it is the team of accountants upon whom it is incumbent to defend the ingenuity and efficacy of the information to be presented in the general purpose financial reports (Daske et al. 2013). The professional accountants are absolutely critical and their responsibilities cannot be emulated by anyone who has any limitation in the knowledge of accountancy. Therefore, in no way can an organisation outsource the role of an accountant and expect to maintain the same level of quality in financial reporting. Therefore, considerable trust needs to be placed by the management on the CFO and his team of accountants (Christensen, Hail & Leuz, 2013). Accountants are solely responsible for preparing the financial statements in compliance with the IFRS set up by the IASB/AASB. The professionals who are setting these principles and standards at the IASB are themselves accountants by profession. Therefore, the need to conform to the standards and the drafting of compliant and certified annual reports, which is critical to the operations within an organisation, is achieved by the mutual understanding and symbiotic partnership of teams of accountants. The Accountants are abreast with the Companies Act, the singular document that establishes the vast array of policies and supporting guidelines regarding the efficacy of the organisation (Guthrie & Pang, 2013). For example, Rio Tinto Group recruits accountants who are especially knowledgeable around the Australian Corporations Act and all its amendments. Without conformity with the regulations of this act, the financial statements cannot be made available to the shareholders. The accountants have the responsibility to maintain records of taxation and are associated with the risk management of any new project tender that may be drawn up. They have a high involvement in the internal audit of a firm and therefore, require the trust and support of the stakeholder in furthering the performance of a company towards the ultimate goals and objectives of the organisation. Although there is much debate on the short term pros and cons of a simplified accounting standard, the preparers and the standard setters must look at the long term benefits that stem from a less complex set of standards. Compromising somewhat on the managerial flexibility of general purpose financial reporting can, in the long run, provide a plethora benefits for the capital markets and improve the understand ability of the financial statement. The IASB needs to look beyond the initial negative response from accountants and realise the need for adult supervisory control of standard setting. Due to a large number of threats posed by financial illiteracy, the IASB must take imminent action to erase the excessive complexity from its accounting standards. While the overall efficacy of accountancy reports hangs in the question, major simplification of the standards is a possible remedy. Edwards, J. R. (2013). A History of Financial Accounting (RLE Accounting) (Vol. 29). Routledge. Weil, R. L., Schipper, K., & Francis, J. (2013). Financial accounting: an introduction to concepts, methods and uses. Cengage Learning. Ahmed, A. S., Neel, M., & Wang, D. (2013). Does mandatory adoption of IFRS improve accounting quality? Preliminary evidence. Contemporary Accounting Research, 30(4), 1344-1372. Brown, P., Preiato, J., & Tarca, A. (2014). Measuring country differences in enforcement of accounting standards: An audit and enforcement proxy. Journal of Business Finance & Accounting, 41(1-2), 1-52. Christensen, H. B., Hail, L., & Leuz, C. (2013). Mandatory IFRS reporting and changes in enforcement. Journal of Accounting and Economics, 56(2), 147-177. Crawford, L., & Power, D. M. (2015). Perceptions of external auditors, preparers and users of financial statements about the adoption of IFRS 8. Journal of Applied Accounting Research, 16(1), 2-27. Donelson, D. C., McInnis, J. M., & Mergenthaler, R. D. (2012). Rules-based accounting standards and litigation. The Accounting Review, 87(4), 1247-1279. Dontoh, A., Ronen, J., & Sarath, B. (2013). Financial statements insurance. Abacus, 49(3), 269-307. Gassen, J. (2014). Causal inference in empirical archival financial accounting research. Accounting, Organizations and Society, 39(7), 535-544.